The Boston Bruins went into the trade deadline looking to acquire two key positions: a reliable third-line center and a right-winger for the second line. And they did just that — well, sort of. On Feb. 20, Don Sweeney announced that they had traded forward prospect Ryan Donato and a conditional 2019 fifth-round pick to the Minnesota Wild in exchange for right-winger Charlie Coyle. While Coyle is a winger, Sweeney mentioned that he will more than likely be playing center on the third line. With the deadline time coming to a close on Feb. 26, the Bruins acquired left-winger Marcus Johansson. 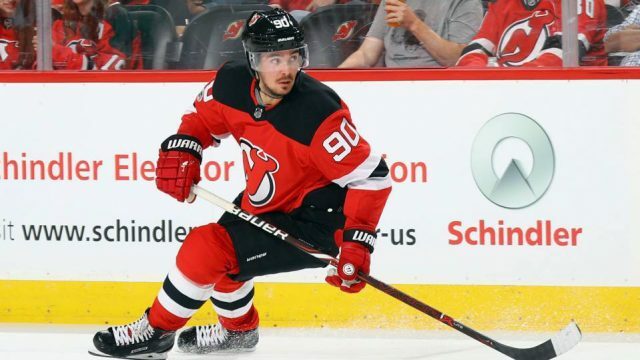 The New Jersey Devils received a second-round pick in the 2019 NHL Draft, a fourth-round pick in the 2020 NHL Draft, and are retaining 40 percent of Johansson’s remaining salary. In 48 games with the Devils this season, Johansson has 12 goals and 15 assists for 27 points. In his career with New Jersey and Washington, Johansson has put up 119 goals and 212 assists for 331 points in 578 games. In his career-best season with Washington during the 2016-17 season, he scored 24 goals and 34 assists for 58 points in 82 games and notched a plus-25 rating. Johansson was selected 24th overall in the 2009 NHL Entry Level Draft by the Washington Capitals. Judging by the lineup of today’s practice, it appears that Johansson will be playing on the second line on his off-wing. He will slot in on the right wing alongside centerman David Krejci and left-winger Jake DeBrusk. These past few seasons, it appears to have been difficult to find a solid, consistent winger for the Krejci line. But, Johansson may be that missing piece. The Sweden native likes to do dirty work when in the offensive zone. He has a strong front-net presence and jumps on the rebound. He gets in the play on the transition. And puts on heavy pressure when on defense. The Bruins needed a forward who is willing to put their body into the dangerous position to get the puck, and Johansson appears to be that guy.